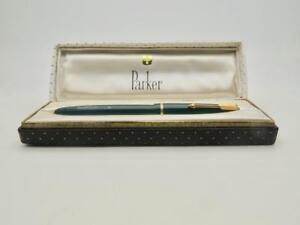 SUPERB PARKER JUNIOR DUOFOLD FOUNTAIN PEN. INKED MINT. FACTORY CHALK MARKS. Vintage Parker Duofold 25 Fountain Pen. 14K Nib. Navy Blue Casing.